On Wednesday, November 21st, Defence Minister Gabriel Leș had a meeting with the Chairman of the Romanian Spatial Agency (ROSA), Marius-Ioan Piso, and a delegation of technical experts of the European Spatial Agency (ESA). ESA experts arrived to Romania in order to offer technical support to ROSA, which participates in the development of the concept study to substantiate the telecommunications satellite system project, which will ensure the needs of the Romanian National Security System that will be coordinated by the Ministry of National Defence. Defence Minister Gabriel Leș thanked the Chairman of ROSA for maintaining good relations between the two institutions, which were strengthened by means of a collaboration protocol, as well as to the European experts for the support offered to ROSA in the implementation of this important project for the governmental organizations in the national security field. 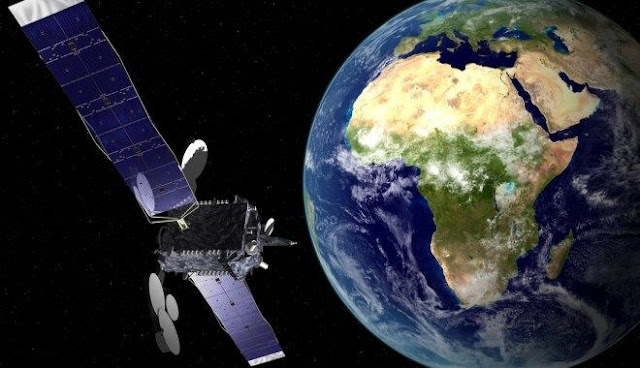 The development of a telecommunications satellite system is a strategic project of national interest in the field of the satellite communications and advanced technology, which will provide for the mission needs of the Ministry of National Defence and of the other institutions from the field of national security. The programme set the following objectives: consolidation of Romania’s role within NATO and EU, reducing dependence on the satellite services suppliers, phased out development of own satellite system , which will provide for the missions needs of the MoND and governmental institutions at peacetime, crisis and wartime situations as well as ensuring redundancy of the ground communication networks functioning at national level that can undergo serious damages in special, emergency situations or calamities. Thus, Romania becomes a satellite services supplier in the Balkans area and the South-Eastern frontier of NATO.